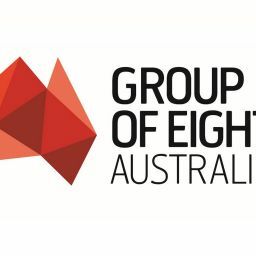 The Group of Eight (Go8) – comprising Australia’s leading research-intensive universities – welcomes the Australian Government’s announcement today of the National Science and Technology Council. “A strong independent body is integral to advise Government on the key priorities for Australia in science and research and to steer the direction of this fundamental aspect underpinning the nation’s welfare,” Go8 Chief Executive, Vicki Thomson said. Ms Thomson said that she looked forward to the new Council providing strong oversight of Australia’s science and research system, including to ensure that investments were coordinated, strategic and carefully balanced to ensure appropriate weight across the spectrum from basic to applied science. This would be expected to include advising on the outcomes of the Australian Research Council’s review of the National Science and Research Priorities as requested by the Minister for Education. “In addition, the Go8 will rely on this Council, with the aid of Australia’s Chief Scientist, to consult with the sector as needed to determine the medium to longer term areas for targeted support including via the Research Challenges. “The Go8 has worked productively with Innovation and Science Australia since its inception and will engage similarly with the National Science and Technology Council, as the complementary body on science matters.